If you have a residential property that requires the services of a professional landscaper in Calgary then you have came to the right place. 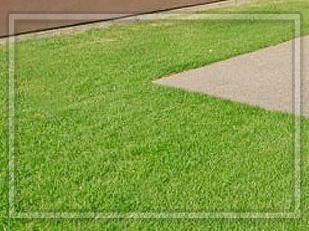 Calgary Greencrete is the premier provider of landscaping services in Calgary. Let us help you create the backyard retreat that you have always dreamt of. Our expert landscapers will tune in to your thoughts and make recommendations and help form your vision into a reality. Whether your lawn just needs a little patch up or you are looking to design a whole new look for your home, give us a call. A proper program of landscaping will not only improve the look of your home but significantly increase the value of the property. Grading and Loaming (bobcat work) - Depending on the nature and size of your project, our grading (mainly focused to expel excess water from the property) and loaming (soil composed of sand, silt, and clay ideal for gardening and agricultural uses) is handled either by professional graders for large areas such as sport fields, or bobcats for residential properties. Sod (supply and installation) - Comprised of grass with soil beneath held together by the roots. Prior to installation, screened loam is spread via bobcat and carefully graded. Rolls of sod are generally 10 square feet (2 feet wide x 5 feet long) in size for residential areas, though larger rolls are used for larger projects. Tress and Shrubs (supply and installation - all sizes) - Intended to enhance your front and back yards, our trees, shrubs, and perennials come in a wide variety of shapes and sizes. Once a tree is planted, shrubs and perennials are added along with the appropriate mulch. Natural material such as boulders and rocks can also be added to improve your yard's aesthetic appeal and natural appearance. Irrigation System - Our irrigation or sprinkler systems are designed to meet the needs of each individual property. Proper zone coverage, water pressure, conservation, requirements and automatic function result not only in a lush, healthy landscape of trees, shrubs, and a rich carpet of healthy lawn, but also reduces your utility bills. Calgary Greencrete has designed and installed a wide range of irrigation systems for residential and commercial properties, including parks and sport fields. Retaining Walls (wood, stone, or concrete) - Providing various functions such as soil reinforcement, water applications, and plant groupings, retaining walls can be used for both aesthetic and functional purposes. We will build your retaining wall using your choice of material, ranging anywhere from wood and stone to concrete. Paving Stone (flower beds and surface paving) - Timeless solutions for any project, paving stones can withstand high traffic and severe weather while simultaneously offering a wide selection of attractive design solutions for landscape or other outdoor projects.